Our founder, Natascha is a Northern based footwear and accessories designer, creating the ultimate in luxe leather flats for women. 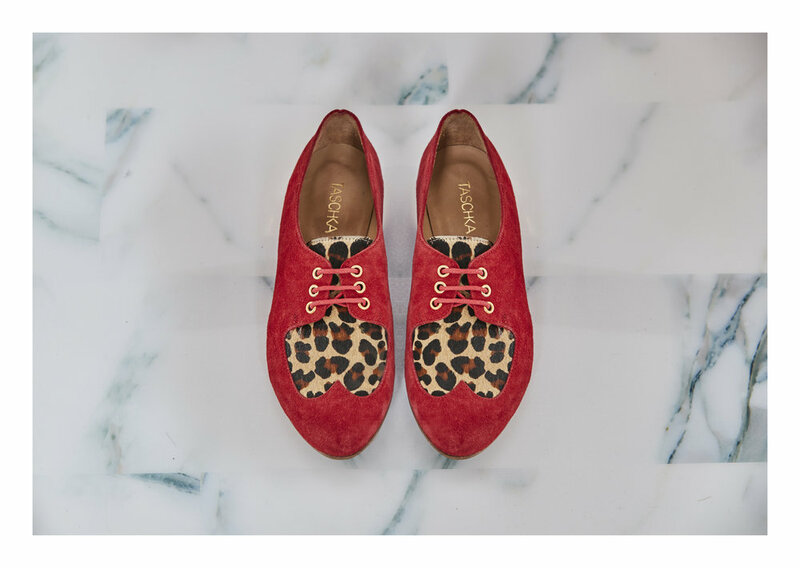 Combining luxury with an element of fun, the Taschka ethos is to create striking and versatile shoes that bring a stylish vibe to their classic silhouettes. The brand has evolved from simple ballerinas to a year-round range of loafers, lace ups, brogues and most recently, ankle boots and mules. From a background in fashion and luxury travel, Natascha moved from organising wanderlust worthy trips for high profile celebrities and journalists, to the cobbled streets of Florence, where she studied at the world renowned Polimoda School of Fashion. Here, she learned the intricate methods of shoemaking from master craftsmen. She then set about creating her vision - a brand of luxe leather flats; to be substantial, stylish and an affordable everyday luxury. Each of our shoes is named after the three letter airport codes of dreamy destinations around the world. The subtle hints of each location are apparent to those in the know; from the bar detail of FLO (Florence) reminiscent of the many bridges of the Renaissance city, the contemporary take on the Indian slipper in the form of JAI (Jaipur) to the chic heart detail of french-inspired ANE (Loire Valley) and more recently, the glitzy lace up LAX (Los Angeles) with it’s sparkle, spots and candy stripes. Signature features of each shoe include a padded leather lining for extra comfort and a henna-inspired leather etched sole as a nod to our designer's heritage. Our shoes are created in a small, family-run workshop spanning two generations in Northern Portugal, an area renowned for it's premium craftsmanship and artisan shoemaking skills. The family care for their employees, paying fair wages and providing clean, safe working conditions. All of our materials and components are sourced in the local area and we use end of line leathers and fabrics wherever possible to limit wastage. Our production orders are transported to the UK by road courier to ensure we are minimising environmental damage caused by emissions.